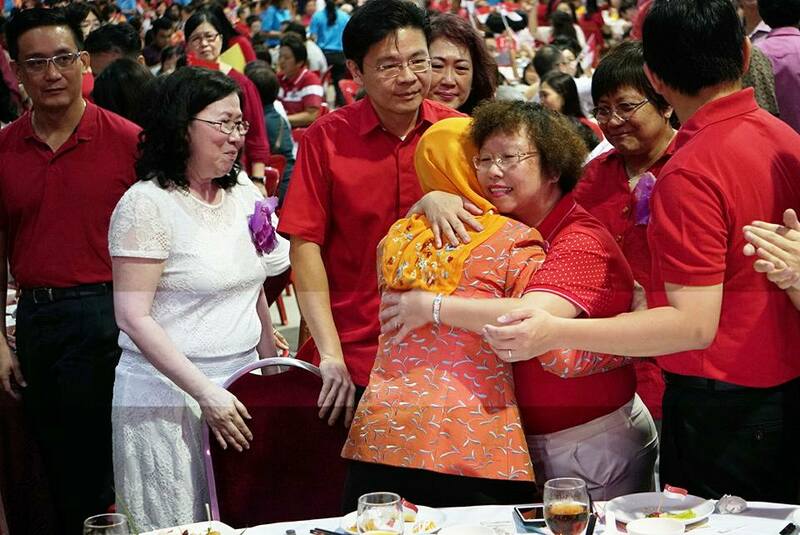 Molly Too hugging Halimah Yacob at the National Day Observance Ceremony organised by Marsiling-Yew Tee GRC. 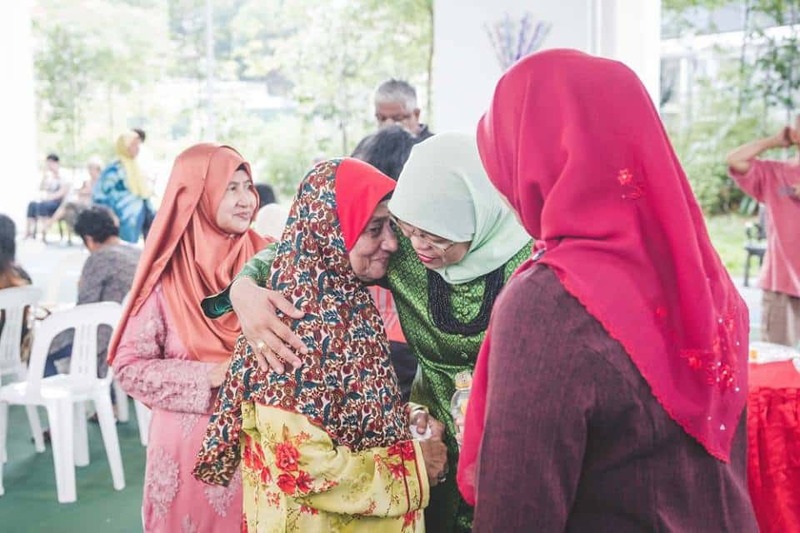 We caught up with 61-year-old Molly Too, a grassroots leader who was seen hugging Presidential candidate Halimah Yacob affectionately at an event. Given the tight relationship, we suspect that the two ladies must have known each other for more than a decade. True enough, Molly tells us that she has known Madam Halimah for 30 years when she was still working the union ground. “I’ve known Madam from the time our hair was still black!” quipped Molly, reminiscing the days when she herself was still Vice-President of the Union of Telecoms Employees of Singapore (UTES). She worked closely with Madam Halimah on the NTUC “Back-to-Work” programme in the 1990s. Madam Halimah was then the Chairperson of the NTUC Women’s Programme Committee and Molly was the vice-chairperson of the committee. “The fondest memory of working with Madam was on the Back-to-Work programme. It was a new initiative then. 45% of the population were female but only a small group were active in the workforce. As a mother of five children, Madam Halimah clearly is able to relate to the struggles of working mums including those without family support. Last year, the Marsiling Women’s Executive Committee started the “Independent Mums” project amongst a group of 20 single mothers in the GRC. It aims to help single mothers in Marsiling to cope financially and find suitable employment. The committee managed to raise $26,000 for the project by selling a cookbook that contains over 30 recipes from chefs and Marsiling residents. This included Madam Halimah’s recipe for low-fat sayur lodeh! Molly reveals that Madam Halimah always reaches out to her residents with her hands and if it’s a lady, she will make sure there is the human touch. “People feel comfortable around her. I can’t explain why. Perhaps Madam Halimah has a soft spot for those who need help and it’s this empathetic quality that draws people to her. For some, empathy needs to be learnt. But not for Madam Halimah who lost her father when she was just 8 and had to shuffle between hawking and schooling. She was almost expelled by the Singapore Chinese Girls’ School for skipping classes to help her mother at the hawker stall till as late as 11pm. 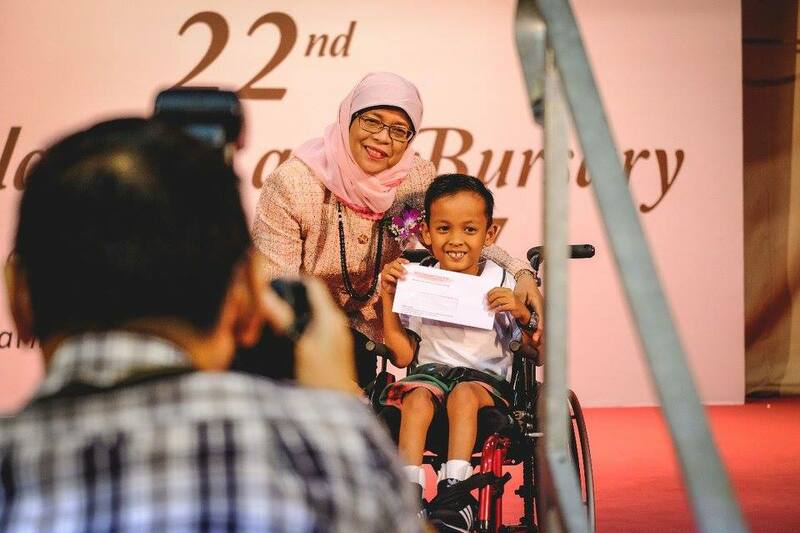 Having suffered a tough childhood, Madam Halimah can relate to children from lower-income families. Molly shares that Madam Halimah initiated a progress class for these children to help them improve in their school work. “In fact, I was told that Madam’s husband sponsored the first assessment book for these children. At first, it brought together 100 of these children. To date, we have 130. Madam Halimah never seemed to forget about these vulnerable groups of people. Even when she progressed from a trade unionist to Member of Parliament to Speaker of Parliament, she remains grounded at every stage of her life. Despite her busy schedule as (then) Speaker of Parliament, Madam Halimah continued to visit her residents twice a week. During one of the house visits, she found out that there was a resident undergoing dialysis treatment and he had to travel all the way to Yishun 3 times a week as there was no dialysis centre in Marsiling. “When Madam heard about this, she immediately worked with NKF to set up a dialysis Centre. It will open in January 2018 at Block 204 Marsiling Drive. 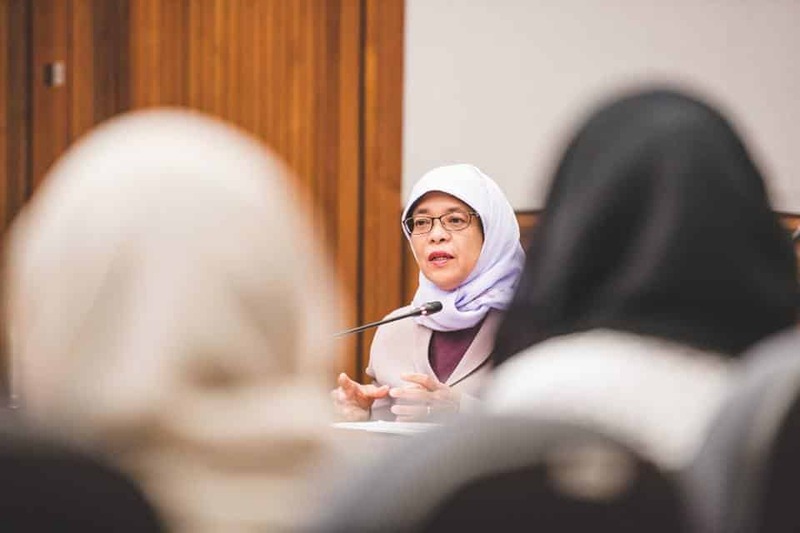 Madam Halimah may sound like a woman of steel but she also has her “human” moments. We asked Molly if she could tell us something that the public doesn’t know about Madam Halimah. “Well, she does cry. When her mum passed away, we saw the other side of Madam. Although she tried to hold back her tears, you can see the pain from her eyes. But she didn’t let that affect her duties, her responsibilities. Madam Halimah’s mother died on polling day during the last GE and she described the final parting with her mum as “the saddest moment of her life”. As tears welled up in Molly’s eyes, one could only guess how much love and respect she has towards Madam Halimah. And we’re pretty sure she isn’t the only one who feels this way.